When the Mad Hatter is running your company, it's bound to die eventually. What happens when a videogame business is run by the completely demented? People so demented, they go crazy for videogames? It dies I guess, as it has been recently rumored that videogame chain Game Crazy may soon be closing all of its stores. Not a couple hundred stores like it did back in February, all of them. 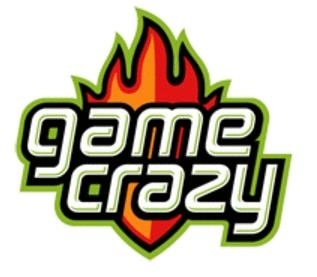 Joystiq's investigation uncovered reports that a company wide conference call for Movie Gallery, Game Crazy's parent, revealed that it has filed for bankruptcy and is going through the process of liquidating Game Crazy stores. An employee stated that they'll "likely be closed by the end of June" as Movie Gallery sells off assets. Another employee said: "After the 18th [of May], we're done with pre-orders," and encouraged those with reserve orders to pick them up as soon as possible. Corporate hasn't yet officially acknowledged whether its 250 remaining Game Crazy stores will be closing or not, but it certainly seems that way right now. I won't be surprised if this rumor is confirmed very soon. Is GameStop's evil just too strong to let the little guys survive anymore? Or did Game Crazy simply come unglued?